Women of the world, your work is done. For today is Equal Pay Day – the day when, according to official figures, female employees stop being paid and start working for free for the rest of the year, thanks to the global gap in income equality. According to calculations by the Fawcett Society , this year women who work full time are expected to earn 13.9% less than their full-time male colleagues. And today, 10 November, serves as an annual reminder of the stubborn persistence of that fact. 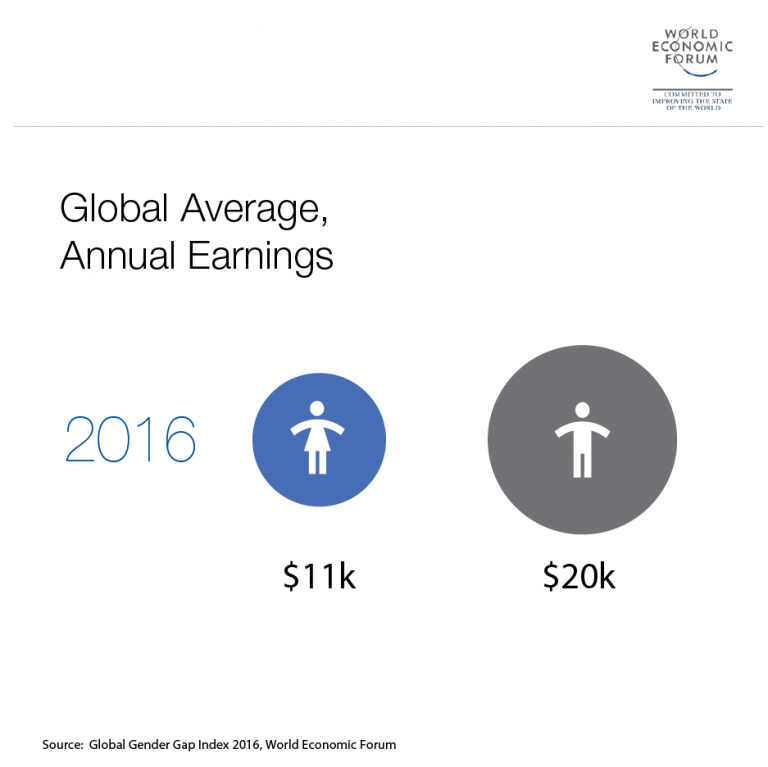 So much for the gloomy global picture; in some countries the situation looks even worse, according to this year’s World Economic Forum Global Gender Gap Report . Take the United States. Using data from the Forum report, it’s clear that despite an Equal Pay Act coming into force half a century ago and a vast raft of equal-pay legislation pushed through under President Barack Obama, this year American women effectively stopped being paid on 24 August. In the words of Obama, in a White House speech earlier this year : “Women are not getting the fair shot that we believe every American deserves.” And more than four months of unpaid labour, in addition to the disproportionate amount of care and domestic work women take on outside office hours, would attest to that view. 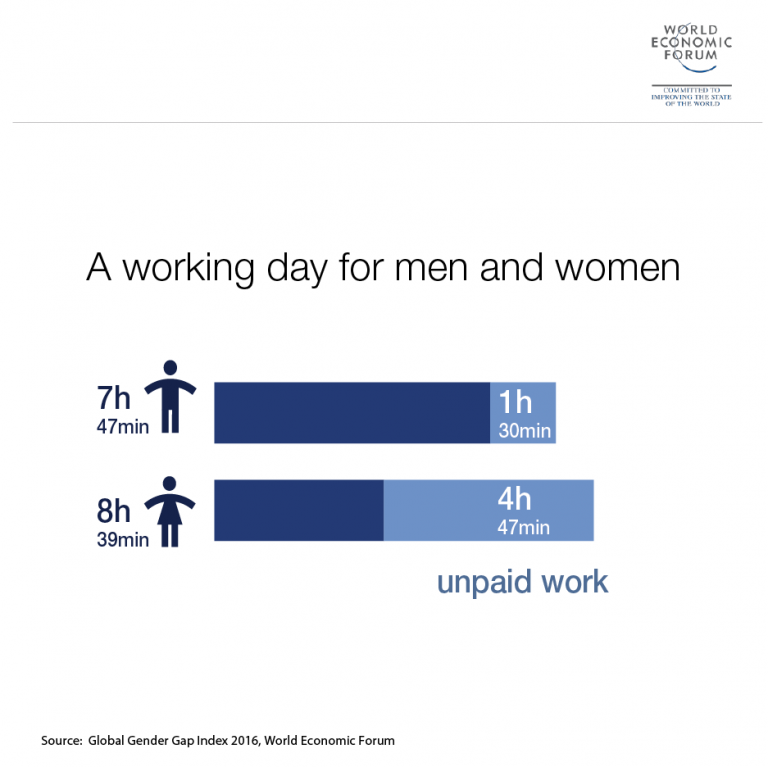 Here's what the average working day looks like for men and women, once the longer hours women spend on both paid and unpaid work are factored in. But it's not just in the US where working women find their labours shortchanged: in the United Kingdom, full-time working women could have downed tools as early as 14 July. In Bangladesh, it would have been the 26 May. These dates are extrapolated from World Economic Forum data, which paints a far bleaker picture of the world than the Fawcett Society findings do. If we use Forum data to pinpoint the day on which women globally start working for free, Equal Pay Day would slide all the way to 15 July. Explanations for the persistence of the gender pay gap are many. One much-vaunted theory is that it’s down to women’s own personal lifestyle choices. But, as researchers at the Diversity Council Australia have found, women’s decisions to have children, care for elderly relatives or settle for lower-paid flexible work are only part of the picture. As much as one-third of the reason is down to simple, old-fashioned discrimination, says council CEO Lisa Annese in the Guardian . Sexism and unconscious bias accounts for “everything that is left after all the other factors that have an impact on the gender pay gap – such as age, tenure, time out of the workforce, occupation, industry, part-time work and sector – have been taken into account,” she says. What about the good news? Well, luckily there is some. This year’s Equal Pay Day fell five days later than it did last year, indicating reassuring – if glacially slow – progress towards equality.